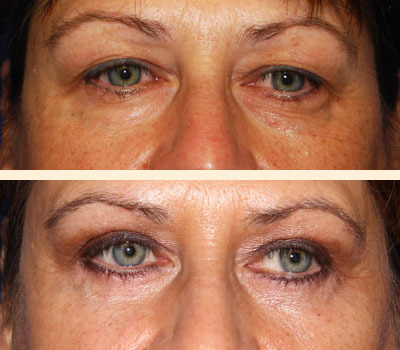 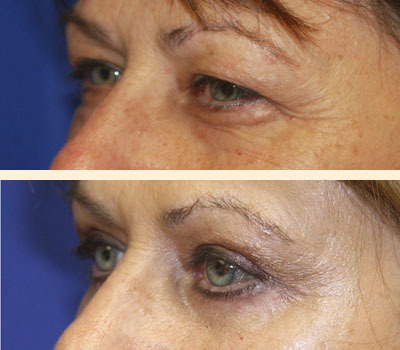 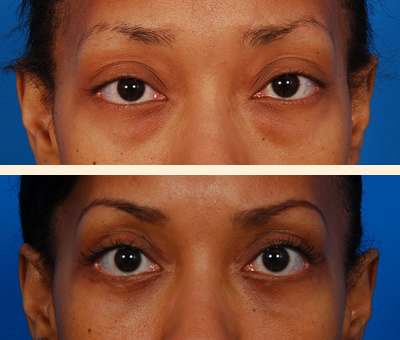 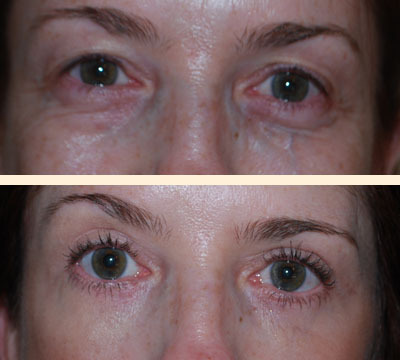 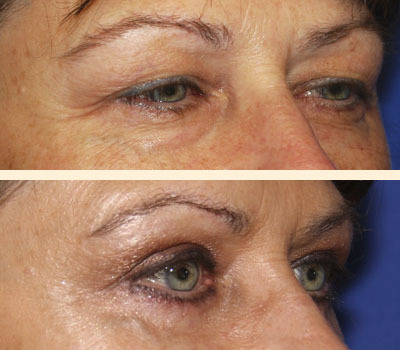 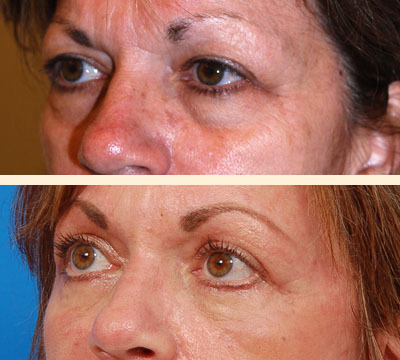 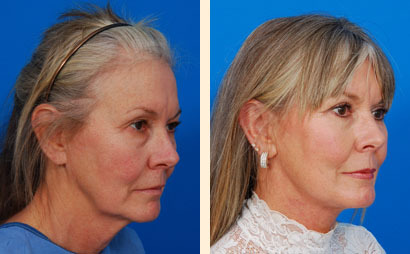 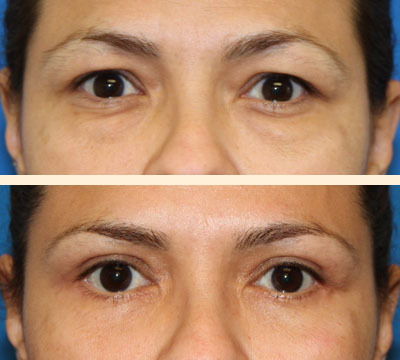 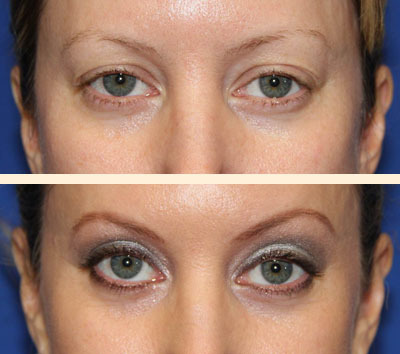 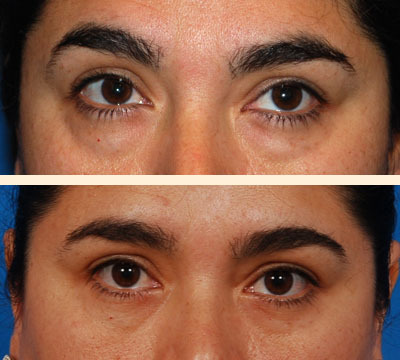 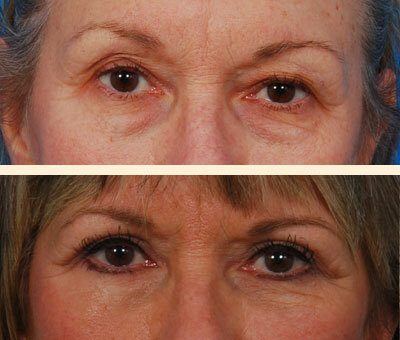 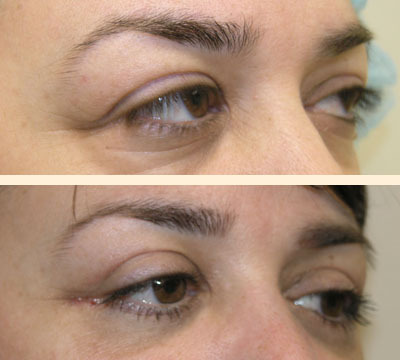 This 55 year old female underwent the Los Angeles blepharoplasty procedure. 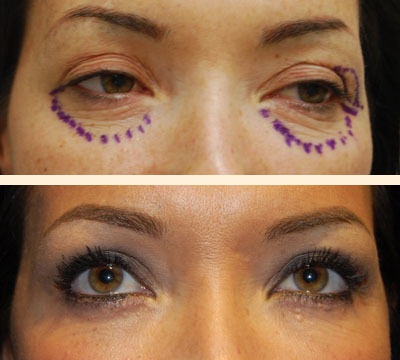 Excess skin and fat has been removed from both her upper and lower eyes to smooth out these areas. 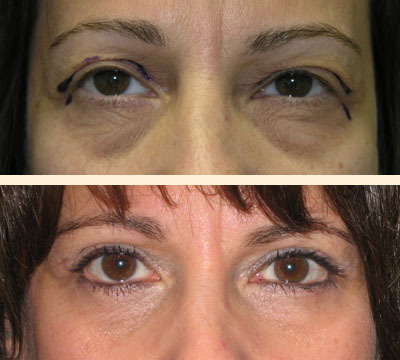 Note her more refreshed and well rested eyelid appearance. 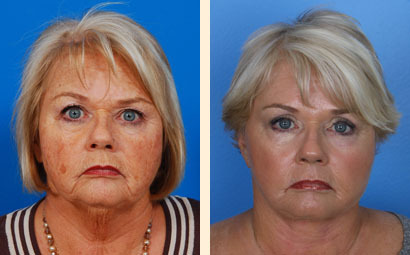 Postoperative photographs were taken four months after surgery.